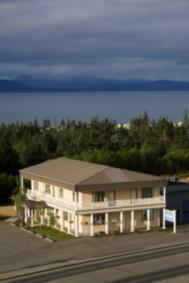 Alaska Living! Peaceful Quiet and Private! Brand New Energy Efficient Home!! Dazzling Ocean Front Cabins and Land! Debra, this is a GORGEOUS listing! Wow, you must be excited to list this--great success to you! What a beautiful home and the size is perfect for me and Sandy! Check's in the mail, Debra Leisek ! Well...not really, so: Good Selling on this one! Hello Gayle Rich-Boxman Fishhawk Lake Realtor (503)755-2905 thank you so much! it is a beauty! Sandy Padula and Norm Padula, JD, GRI NMLS#1483386 I am convinced you 2 need to come up now!!! the sun is shining... it is a balmy 15 degrees and beautiful! This will be a lovely home for a very lucky family. Best wishes for a successful transaction. Thank you Sean Casey I appreciate your checking it out! !